Sight Singing School will teach you to sight sing by steering you through 399 carefully graded musical examples. The first exercises in Part A have only two notes and very simple rhythms. Have a go at the example below. We recommend singing in tonic sol-fa, but any system will work fine. To listen to the example, click on the Hear button. You can also hear it with a metronome to help you understand the rhythm. The note set, which is all the notes used in the example is given above each example, and you can listen to this too. Furthermore, if you only want to hear the starting note, there is a button for that as well. If you would like to see the sol-fa syllables or note letter names you can push the corresponding buttons. 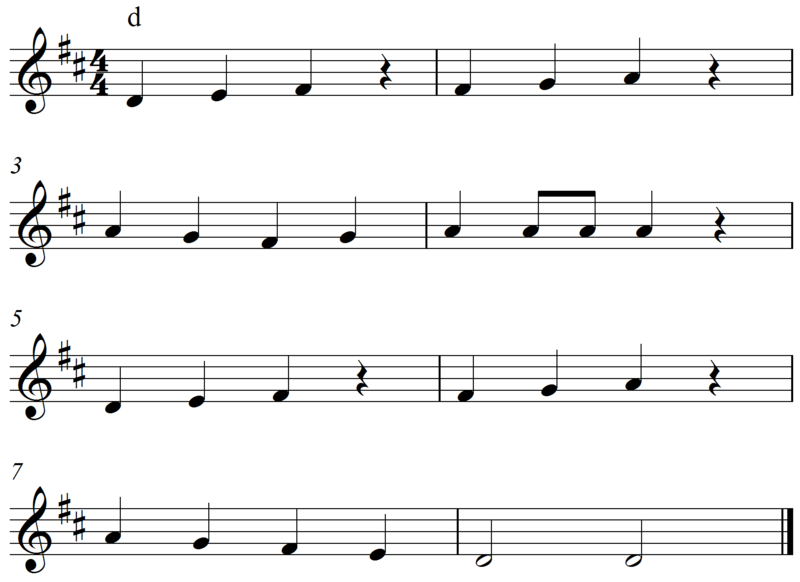 By the end of Part A you will be singing songs with 5 notes such as the example below. By the end of Part D you will be singing modal and chromatic melodies. Sight Singing School moves in many small steps so that progress is easy, and the intervals and new rhythmic intervals are thoroughly learned. On each page there is a useful help menu which provides information about how to practise, basic music theory, sol-fa handsigns, rhythm syllables, tonic sol-fa and scales and modes. When you feel you have mastered an example you mark it as completed and Sight Singing School keeps track of where you are up to for next time you log on. The graded sight singing exercises are supported by useful Practise Exercises which further develop aural skills and help with sight singing development. 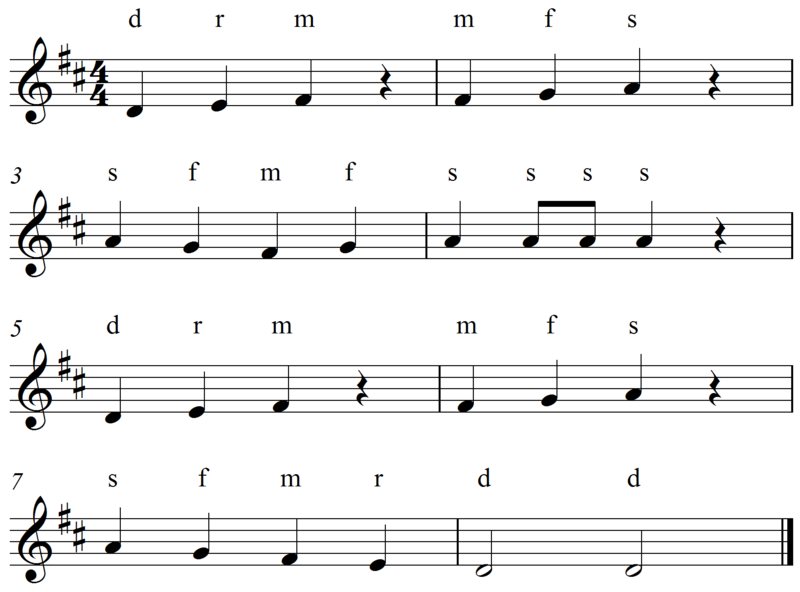 These exercises are based on the scales used in Sight Singing School and can be sung as warmups or to consolidate the intervals learned in the unit exercises.